Where there is dirt there is a system. 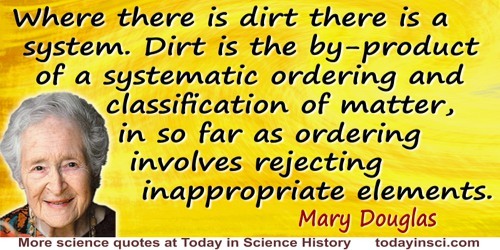 Dirt is the by-product of a systematic ordering and classification of matter, in so far as ordering involves rejecting inappropriate elements. In Purity and Danger: An Analysis of the Concepts of Pollution and Taboo (1966), 35.